Student loans have overtaken credit cards as the largest kind of consumer debt. The steadily rising cost of education and the shrinking public education opportunities insure that more and more of our populace is saddled with often staggering debt. If your loans are federally guaranteed, the kinds of repayment plans you can choose and the ways to get back in good standing with your loans have also mushroomed. The two most exciting options include the income based repayment plans and the public service loan forgiveness. Most loans peg their monthly payments to the amount of the loan balance. The Income Based Repayment option is based instead on your income. As important, after 25 years of payments, any unpaid balance of the loan is forgiven, gone, wiped out. Your monthly payment is calculated as 15% of your adjusted gross income, less 150% of the poverty line for a household of your size in your state. Your IBR payment could well be zero, if your income is modest. Your loan can’t be in default to get an IBR plan. See below for ways to get out of default. Anyone who works for 10 years for a public entity or a 501(c)(3) non profit while making timely monthly payments can have their student loans forgiven without tax consequences. It doesn’t matter what job you hold in a qualifying institution, from head honcho to janitorial staff. If the employer is a government entity or a non profit, you can ditch the loans after 10 years of payments. Teachers, nurses, and administrators are likely to have the largest loans, but regardless of your nitch in the organization, you can take advantage of this opportunity. If you are on a 10 year repayment plan, this doesn’t help your cash flow. But if you qualify for an income based repayment plan, it could mean thousands, or even hundreds of thousands of dollars in student loan forgiveness. Being in default of your student loan can expose you to wage garnishment, social security offsets, tax refund intercepts and exclusion from federal employment. State or federal occupational licensing can be jeopardized. You can get your loan back in good standing by consolidation or rehabilitation. The processes are different but each gets you out of default. Rehabilitation removes the ugly “default” entry on your credit report. Once out of default, you can apply for an income based repayment plan. Some circumstances entitle you to the discharge of your student loans without the need to file bankruptcy or go anywhere near a court. If the school you are attending closes and its credits are not transferable to another school, you can apply for a discharge of the loans taken out for attendance at that school. The recent closure of Corinthian schools will trigger a wave of closed school discharges. If you enrolled in school without a high school diploma or GED certificate, the school may have falsely certified that you were likely to benefit from attendance. That or enrolling students who can’t meet the state licensing standards may get the associated student loans discharged. Death or disability are grounds for discharging student loans. The borrower’s bankruptcy options on student loans have shrunk to a very few. 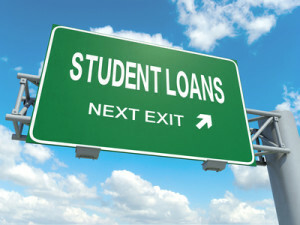 Changes to the Bankruptcy Code in late 1998 made student loans non dischargeable, regardless of the age of the loan, unless the borrower can establish undue hardship. Changes in 2005 made even private student loans non dischargeable. Absent a showing of undue hardship, the best that bankruptcy can do with respect to student loans may be to eliminate other debts that compete for the borrower’s dollars, or to provide a measure of peace during a Chapter 13 case. Some courts will permit debtors to separately classify student loans in Chapter 13 and pay them a greater percentage than other unsecured debt. It may also be possible to challenge either the enforceability or the accounting issues surrounding a student loan in bankruptcy. Student loans are no longer dischargeable in bankruptcy just because they have been in pay status for a given period of time. The only way the loan can be discharged in bankruptcy is by proving that repayment of the loan will create an undue hardship on the debtor/borrower and his family. This standard is generally interpreted to mean that the debtor cannot maintain a minimally adequate standard of living and repay the loan. It usually requires a showing that the conditions that make repayment a hardship are unlikely to improve substantially over time. Many courts use the test for undue hardship found in the Brunner case. Courts in some circuits will permit the judge to find that the debtor can repay a portion of the loan without hardship, and to discharge the balance of the loan. To discharge a student loan in bankruptcy, the debtor must bring an adversary proceeding in the bankruptcy case. The debtor must prove at trial that repayment constitutes undue hardship. A pervasive problem in student loans is the state of the lender’s records: the loan has been transferred several times and it is not clear just what is owed and whether all the additional charges are in accordance with law. Consider using an objection to the claim of the holder of a student loan in a Chapter 13 to get a judicial determination of the rights of the borrower: in bankruptcy, the burden of proof is on the creditor. Once a judge decides what is properly owed, principles of collateral estoppel should make the decision of the bankruptcy court binding on the lender even if the repayment period on the loan stretches beyond the end of the plan.